I have been receiving a lot of feedback on my recent keto articles. Many people also want to know how much fat they should be eating. Others have said that they thought keto was just about limiting carbs. The keto diet requires higher fat intake, moderate protein consumption and low carbohydrate levels. But what does higher fat mean? 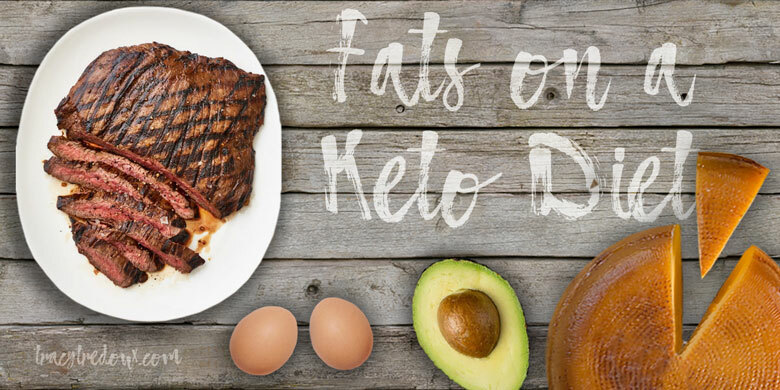 This articles takes a look at the role that fat plays in a keto diet and gives some pointers on how you can translate this into your day-to-day meal planning. What are the consequences of not consuming enough fat? You may still see good results during the first phase of your diet, even if you don’t properly implement it. This is due to your body eliminating excess water and fats but your progress is likely to taper off and even cease as time goes on. If your normal daily calorie intake is around 2,000, with 70% - 80% being healthy fat, this would give you a daily fat requirement of between 144g and 177g. This amount will rise or fall for different calorie requirements. Your body size will also influence your fat requirements. An average person will want to consume around 30g of fat per meal. A person with a small frame should require no more than 20g, while a large person may need up to 40g. A ‘keto calculator’ can help you to work out the exact rations of fat, protein and carbs. Using a keto calculator will help you determine the proper ratios and amounts of fats, protein, and carbs your body needs. Many health sites offer a keto calculator tool you can use to assess your calorie needs and how this breaks down into grams of fat, protein and carbohydrates. Here is a link to a free keto calculator from ruled.me that I can recommend, although there are plenty of alternatives available. Different people have different goals when trying the keto diet. Some are using it to aid with medical conditions, such as epilepsy or diabetes. Others specifically want to achieve weight loss, while many athletes have taken it up as a way to boost their peak performance. Although they have different goals, a large variety of people can benefit from the macronutrients that the keto diet can provide. It is important to consume the right fats while on a keto diet. Eating greasy fast food will certainly harm your health and will not get you any closer to achieving your goals. Avocados, macadamia nuts, eggs, and salmon are all good sources of healthy fats, as are coconut products and natural butter. Remember, although the keto diet is about increasing fat intake, it is about increasing healthy fat intake in specific proportions. There are many free tools available to help make this as simple as possible. As with any diet, please do consult with a GP or qualified healthcare practitioner before commencing as no diet is suitable for everyone.